Of course, Col. Cooper didn’t like the joke. He said paranoia was a mental aberration, wherein, one imagines being set upon by enemies. Most gun people understand, as the World is a dangerous place, being reasonably prepared to respond to such danger is NOT paranoia (no matter how the anti-rights crowd paints it). It’s just that, reasonable. Mr. Clancy himself was a failing insurance salesman who wrote a book about an intelligence adventure, and it went to Number One. The book was The Hunt for Red October . Since then he has written many techno-thrillers. Mr. Clancy now resides is a very fine home, with a shooting range in the basement. He also has an expensive condo in downtown Baltimore (I’m unclear why, Maryland.’s strict gun laws, and all). And, I’m certain, regardless of the gun laws, considering his intel/law enforcement connections, that he’s armed. Of course, I can’t prove that. Maybe he has licensed bodyguards? And why shouldn’t a man of means be able to do so? Or his family? Or your family? At least, here in Arizona, between CCW permits and Constitutional Carry, all legally-entitled adults may do so. Paranoia is a poor label. Let’s stop using it. I’ve been posting a lot of late, regarding Downtown Phoenix, and it’s sordid past. If you’ve been reading this blog you know I’ve an interest in political crime, like the JFK and other assassinations. I always wanted to visit downtown Dallas. I was in the 6th Grade in 1963. It took until November 22, 1992 for me to go to the crime scene. A little cold, by case investigation standards. I was privileged in being able to walk around the entire scene, take photos, and even casually interview a couple witnesses, who had returned there for the 29th Anniversary of the Assassination. At Noon, about 300 of us stood in silence to honor the Country’s loss. Penn Jones, Jr. (an assassination researcher and author of Forgive My Grief) spoke. I was maybe ten feet from him, directly adjacent to the spot where Abe Zapruder stood when he took his historic film.. I visited the Sixth Floor Museum, recounting the ‘official’, Warren Commission Report version of the shooting. And just a block up the street, The Conspiracy Museum, lending credence to the ‘conspiracy theories’ surrounding the JFK and other assassinations. I didn’t have enough ready cash to take the ‘conspiracy bus’, a tour from the second museum to Oswald’s boarding house, and past the homes of (in)famous witnesses, and to where Officer Tippit was killed. The day wore on. But it was still an amazing, yet sobering day. It got to be after 5:00 PM, and I noticed two things. I was very tired from walking around all day, and downtown Dallas, like downtown Phoenix, rolled up her sidewalks. One block off Dealy Plaza, and there wasn’t a person to be seen. I quickly felt like Earl Holliman in the first Twilight Zone episode “Where is Everybody?”. It was pretty frightening. The streets were empty, no people, no cars. It was like Old Phoenix. But much farther away. Eventually I found a cab and made it back to my hotel. And I flew out the next day. From Love Field. Next time, I’m not going alone. “In law, if there is no defence, it’s a sham. In business, if there is no competition, it’s a monopoly. BabyTrollBlog brought this quote to my attention. Ms. Nova lives in Australia, recently buried in the mire that is global warming, anthropogenic climate change, leftist green propaganda. Go and read her article, while the Australian government still permits it. We Need a Free Market in Climate Science. I received three prescriptions from my new physician at the ‘free’ clinic Friday last. One was a blood-pressure medication (expected), one my long-standing diabetes pill, and a third a pill for my diabetic neuropathy. I’ve had chronic extremity pain since I was diagnosed as a diabetic back in 2002. Especially in the feet and legs. Standing, walking and even sitting is often accompanied by pain. Years back, my then regular physician sent me to a pain specialist, who prescribed a medication designed specifically for this malady. In short, it worked miracles. I still had pain, but the severity was lessened to the point I could sometimes engage in important activities, like going to gun shows! Then, I lost my insurance benefits two years ago, and with them, the discounted pain medication. Sunday’s pharmacy adventure at Walmart determined while not generic and discounted, I could now afford these magic beans pills. And, I’ve been able to do more house work than I’ve been able to in, well, years. Today, I’m paying the price – the meds still work for the neuropathy pain, but bypass the muscle pain from all the unused muscles! 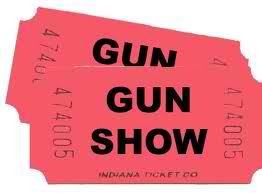 I won’t have any money, but, I’m hoping to make it to the next gun show. If my muscles get in shape! A post of whining – and an historic hat tip! The essence of the cartoon was irony. The guy who yells at you about your driving – turns out he’s a worse driver, that sort of thing. My new physician advises me to go to either Target or Walmart. Most of the prescriptions are $4.00. As my income has been drastically reduced, this is a good thing! Sunday last I go to the Walmart pharmacy. I did know that as my one med wasn’t generic, it would be more. I wasn’t thrilled, but, I really needed the med. Maybe one day it will be generic. So, after my doctor’s follow-up visit this AM, it’s off to the pharmacy, again. My doc tells me the two prescriptions will be $4.00 each. Sadly, she doesn’t work for Walmart. After the usual mumbo-jumbo, I get the two scrips. The generic one, because it’s a double-dose, is $8.00. The other one, is no longer listed as generic (as they updated the formula), so it’s $12.88. So, I get to spend $20.88, instead of the $8.00 I was expecting. They’ll do it every time. PS – Jimmy Hatlo also drew and authored “There Ought To Be Law”, which I’m sure upsets libertarians everywhere. Is it ironic I just hat-tipped Jimmy Hatlo? One advantage of having friends who work at a local gun store, is they get to know your tastes, wants and desires. About firearms, anyway. One afternoon, Bob H. (yes, another Bob) calls me from the shop. He said he remembered my proclivities for rusting anything in sight, and a gun just arrived which I might like. A Stainless Lightweight Commander. I couldn’t make tracks fast enough to get to the store! She was a beauty. Mat stainless slide, alloy frame, black sights and trigger. Of course, being from Colt, she needed the addition of a proper ambidextrous safety. So, without leaving the store after plunking down my cash, into the smithy she went. Patience is not one of my virtues, but, I am working on it. In a few days, I got the call and picked her up. Because, I can also be a bit compulsive, even though I had perfectly suitable holsters at home I could use, I immediately went next door to The Wilderness. Therein, Ralph Holzhaus custom-fashioned the latest in Kydex finery he had just begun selling for my new baby. The end result was a brand new stainless carry piece, in a brand new Kydex concealment holster. Off to the indoor shooting-range. It had been a few weeks since I’d gone shooting. The pistol functioned fine and I knew my skills were adequate. But, I returned on a regular basis, because, this was to be my new carry gun. I even added flat-finish, smooth, ebony stocks. I don’t know if it was the trigger, the bushing or what, I just couldn’t get this firearm to perform on command. And, isn’t that what she was for? Wasn’t she a Commander? So, she became largely a safe queen, until I traded her for another gun. And, one of the GOBs (good-old-boys store regulars, – a fireman) picked her up. And, he told me she shot ‘okay’. Guess it was me? And the custom Kydex holster was relegated to the wire milk crate of unused holsters, where it lives, today. I never bought any other Commander-style pistols, so, I’d no more use for it. Borepatch recently had blogroll update, including a link to Chemistry Sets. His led elsewhere than this post, but, the title tickled my brain a little. I suddenly remembered stuff from my childhood. I think I was in the 5th Grade when Leigh Bradbury and some of his older friends built a model rocket. They were 7th Graders. Leigh was famous for making the balsa/tissue paper airplanes powered by gasoline motors. He painstakingly painted the tissue-paper with butyrate dope, to give the wings and fuselage color and rigidity. One could get high smelling this stuff. (And a name meme began). They were cool to watch fly and all, but, this was the 60’s and all the guys were into the space program. Going to the MOON! Suddenly. Leigh had a model rocket. It was balsa wood and cardboard, and had a pre-built, pre-packaged, solid fuel engine. He marched off 1/2 mile to the elementary schoolyard with an entire block of kids in tow. Word had got around. This tiny toy rocket (perhaps 5″ long) had a soda straw affixed to it’s side, and a stiff, straight wire (a little thicker than a coat-hanger) for it to ride on. And we all stood silent, awaiting preparations for the launch. A launch, in our neighborhood! And Leigh made us stand back a couple hundred feet, for safety – and because he liked the audience. The little missile took off, well, like a rocket! Maybe 500 feet in the air. Then fell back to Earth, undamaged. And the playground was permeated by the smell of burning sulfur and saltpeter. What a cool smell. How cool was that? Not just on model rocketry, but rockets, pyrotechnics, chemistry, fireworks, and yes, firearms. Anything to get that sulfur/saltpeter smell back. And we made and launched bunches of them. By the time I got to high school, the log cabin playhouse in the backyard (that had failed as a casino during the James Bond period-kids don’t have money) had become the lab. And my Dad’s friend and co-worker, the middle-school science teacher, got all kinds of stuff he either had duplicates of, or didn’t need. I had the best kid’s lab in the neighborhood! And my best friend Carl and his brother Vince and I used it. And, by high school, we’d graduated from the paper model rockets with prepackaged/premeasured engines to making our own rocket fuel. We’d go the the local drug store and buy sulfur and potassium nitrate in big jars. No one questioned our purchases. It’s amazing we kept our fingers, hands and eyes. Carl and Vince’s dad policed his .22 casings – he had plastic buckets of the things. They made great containers as firecrackers! We never did graduate to launching sleek metal tubes miles up, mostly because we couldn’t afford it. And, I’ve a sneaky suspicion at least my parents would have put the kibosh on 5 pound bags of chemicals arriving by freight to the house. Of course, now, we’d be designated domestic terrorists. And be tracked by the FBI. A couple years ago, Senator Schumer wanted to ban the toy model rockets, because they might be used by terrorists. No need, Senator, they won’t hold much payload, and the space program is toast, anyway. Toast that doesn’t smell like sulfur and saltpeter. Peter (link) of Bayou Renaissance Man says it all. There’s no need for me to repeat him. Please go to the link and read this wise man. Another unusual character in my life was my former barber. He’s no longer my barber, as he’s retired. He and his long-time friend used to man chairs together at a local barber shop they co-owned. The friend was openly gay, and my barber used to razz him unmercifully about it, and made negative comments about gays in general. It took me awhile before I figured out this was just his way, and, his gay buddy seemed to not care, so why should I? I began going to this barber during the Clinton years. He hated Bill Clinton, and everything he stood for. But, I never heard him address the man directly. There were never an ad hominem comments. Nothing about what a jackass he was, anything like that. I’m not a big fan of such attacks, myself, because they don’t address the actual issues. I think they’re a lazy way to argue. But obviously, this guy just couldn’t stand him. So, I asked him one day, out of morbid curiosity. He said, “Do you know who I hate more than President Clinton? People who don’t show the Office of the President respect! Those guys who say “Slick Willie”, and “Bill”! The man’s the President for chrissakes! The scales dropped from my eyes. I had (and have) similar disregard for the man. But my barber was right. And the same principles apply today. I’m not a fan of the current President or his Administration’s policies on most everything. And, I may even question election tactics, much as President Bush was questioned a few years back. But, the man is the President. The system dictates if we don’t like what he’s doing, address the policies and vote against him, next opportunity. Name-calling only makes us look juvenile. And, doesn’t address the issues. Back in the mid-70’s, I was working for the double-billed Stewart Security Service/Thin Man and Associates. I was working as a security supervisor at the Country Club, and, on my days off, getting training and working as a private investigator. I finally received a surveillance assignment, in a nearby college town. Boring stuff. Grad students were getting together and ‘being romantic’. Unfortunately, one of the grad students was married to someone else. Arizona’s No-Fault Divorce law had yet to be enacted. This meant, among other things, that the offended party had to prove what was termed alienation of affection (i.e. fooling around) in court. A lot of business for the P.I. community. So, I staked out the apartment of one of the parties. This was in an area just East of the college known back when people cared about such things as ‘Sin City’. Where students lived together ‘in sin’. And, sure enough, the subject arrived with their ‘friend’ and entered the apartment. Lights out, curtains closed. I’m guessing sinning commenced. But, sitting in the car offered a limited view of the slimeball’s, sleazeball’s, lover’s apartment. And sitting in the car on yet another hot Summer night seemed less than desirable. Having no camera or illegal bugging device, catching them in-the-act, as it were, seemed problematic. I noticed an apartment pool, and as I was about the same age as the grad students, magically became a grad student, and went to sit by the pool, where it was cooler. (and offered a better view of the subject’s apartment). Soon, I was joined by another student! He talked about going to school here, too, yadda, yadda, yadda. Fortunately, I had actually gone to school there (remember Joe Cool?) so, I had some points of reference. Eventually, my buddy left, said he had a class in the morning, and left me to the mosquitoes and the heat. And, the apartment remained dark, curtains closed. Finally, after midnight, the couple separated, and he left. Not working for True Detective Magazine, kicking in the door and taking a flash photo of the couple in flagrante delicto with my Speed Graphic might have been sensational, but certainly would have gotten me arrested. And, I didn’t have a camera, anyway. So, the client had to be happy with the typewritten report, specifying the time the apartment was entered, who did the entering, the time elapsed and the time one of them left. Pretty boring stuff compared to TV and the movies. But, I was stoked! This was my first surveillance!